When Bosch gave me a dishwasher to review they also shared an FAQ with me that I thought was pretty useful. The dishwasher draws water and sprays it through rotating jets to rinse the dishes. It then releases the detergent and the dishes are cleaned with soapy hot water. Once the cleaning process is done the dishwasher rinses the dishes again. After this cycle, the dishwasher dries the dishes. Is a dishwasher suited for items used in cooking greasy or oily dishes? Yes, a dishwasher cleans all types of grease and oil. 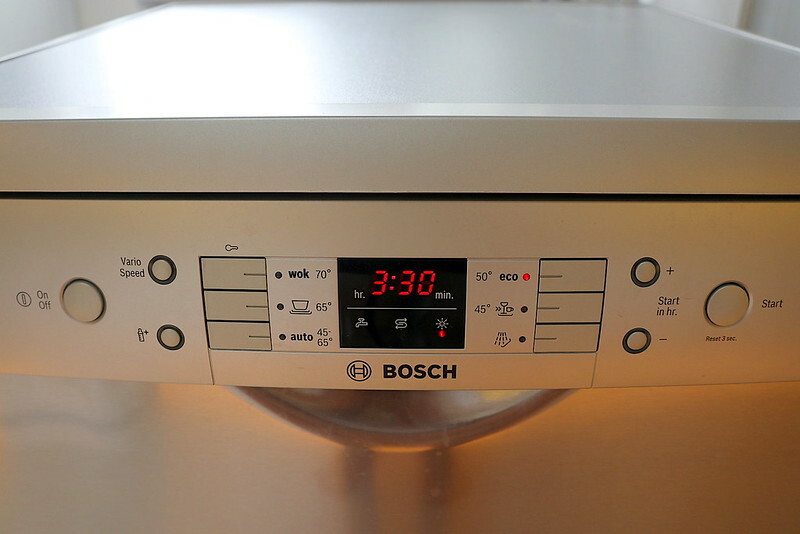 Apart from normal programs, one can select an ‘Intensive’ program, which ensures that the dishes are cleaned at 70 degree C water temperatures. How many items can a dishwasher hold? Tea cup and saucer – 12 nos. Knives, forks, soup spoons, dessert spoons and teaspoons - 12 nos. each. Serving plates and serving spoons – 3-4 nos. For a mixed load - it can accommodate pots, pans, plates, cooker & 30 to 40 standard size spoons & forks. How much time does it take to wash the dishes? Depending on the wash cycle, it may take between 30 minutes to two hours to clean and dry the dishes. It is safe to leave it operating by itself and get the dry clean dishes after. Is soap residue left behind in dishwashers? No soap residue is left behind in the dishwasher. What can I put into a dishwasher? You can put utensils that are made of steel, ceramic, glass, plastic which is suitable for microwaves and porcelain items that are suitable for dishwashers. Does glass break or get chipped when we clean it in dishwashers? No, glass does not get chipped or broken in the dishwasher if you have placed them properly. How do I put the dishes into the dishwasher? In a dishwasher, there are 2-3 baskets to hold the dishes. These baskets have tines which are used to hold the dishes upright and have flexibility to fold to adjust the dishes better. The upper basket can be used to hold small plates, bowls, glass tumblers, wine glasses etc. It can be height adjusted to accommodate taller utensils. The lower basket can be used to place cooking utensils like kadhais, pots, pans or bigger plates. It comes with a cutlery holder to hold the cutlery. I heard that we need to pre-rinse dishes before we put it in the dishwashers. Then, why is a dishwasher needed? No, you do not need to pre-rinse the dishes before putting them into the dishwasher. Just scrape the leftovers away before loading the dishes into the dishwasher. If I open a running dishwasher will it flood my kitchen? There is no flooding as the amount of water used is minimal (the machine doesn't fill up like a washing machine) but it's not wise to open a running dishwasher. If you have to, first switch off the machine and wait 30 seconds for the spray arms to stop rotating. Then it is safe to open the dishwasher. It will start from the point where it stopped and you do not have to start all over again. Does the dishwasher have to be cleaned after washing the dishes? No, the dishwasher does not need to be cleaned after washing the dishes. However the filter can be removed and rinsed once every fortnight depending on the degree of soiling. What detergent is to be used? Can I use my regular detergent here? One needs to use dishwasher detergent and regular detergents cannot be used. These detergents can be easily found in the supermarkets near you. Apart from detergent, is there anything else that I have to add for good results? Apart from the dishwashing detergent, the dishwasher needs dishwashing salt (and not the ordinary table salt or rock salt) and Rinse Aid to give superior washes. 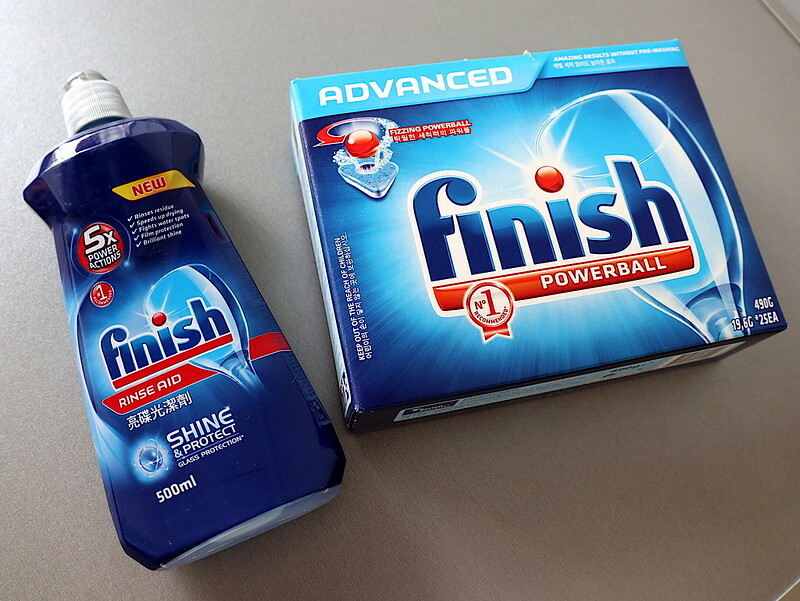 This is done initially once and lasts for many washes, unlike the detergent which needs to be added every time. The dishwasher automatically indicates when the salt is used up and needs to be refilled. The dishwashing salt protects the dishwasher from damaging limescale and acts as a water softener. Rinse Aid is added to prevent 'spotting' on glassware (caused by droplets of water) and to improve drying performance. In case of power failure, do we leave the half-washed utensils inside the machine? How does it work? The machine will continue working from the point it was stopped due to electricity failure. There is no need to remove the utensils. How hygienic are the washing results of a dishwasher, compared to manual washing? Manual washing is usually done with cold water whereas a dishwasher uses hot water to wash the dishes; this helps to kill harmful germs during the washing cycle. The dishes come out dry which means that there is no need for drying them manually afterwards or leaving them out for drying (which reduces dust accumulation on the dishes). The sponge used in the manual wash accumulates and breeds germs, which is not hygienic. Can I wash baby bottles and other utensils which require hygienic wash? Yes, you can wash baby bottles and chopping boards in the dishwasher. Bosch dishwashers have the ‘HygienePlus’ option which means that the last wash is at a temperature of 75 degrees C which reduces the number of germs even more than the normal washing cycle. How much water does a dishwasher consume compared to hand wash? A dishwasher uses on average 10-14 litres of water (depending on the model) whereas hand washing may take up to 60 litres. Will my electricity bill shoot up after using the dishwasher? A dishwasher is quite energy efficient as it uses only 1-2 kW of energy every wash (depending on the chosen program). How long does the dishwasher last? Depending on the usage, it can run for 10-12 years. Is a smaller version of a dishwasher available, since I have space constraints? 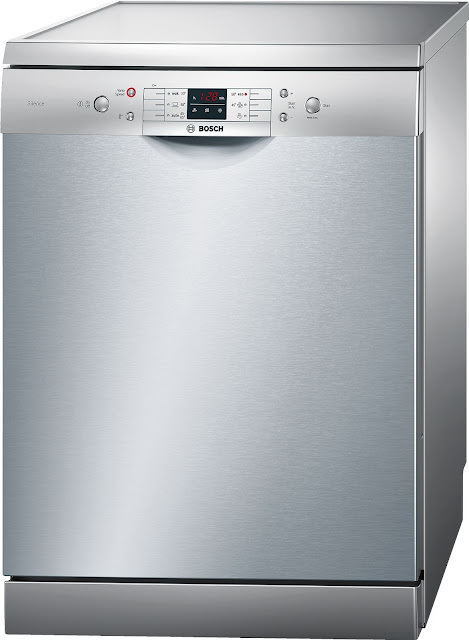 There are slim-line dishwashers which are 45 cm wide instead of 60 cm. Also, there are compact table top dishwashers that don't take up floor space. It’s just two of us, with some 4 plates and glasses. Why do I need a dishwasher? Dishwasher makes life simpler. One can stack and accumulate the dishes in the dishwasher and then run it when the dishwasher is full. An alternative is using the half-load option which can be run in the case of fewer utensils. I have heard that installing a dishwasher is very difficult as complicated plumbing work is required (as opposed to a washing machine where only a tap is required). When installing a dishwasher you need similar plumbing work as a washing machine. It requires a tap for inlet and an outlet for water to disperse. You can share the same tap as the washing machine using a splitter. Isn’t a dishwasher too expensive? You must consider that a dishwasher is a long-run investment; on average a dishwasher is able to run for 10-12 years. Besides this there are other advantages such as less dependency on the maid, better hygiene, convenience, no breakage of expensive crockery, quality time for yourself, etc.